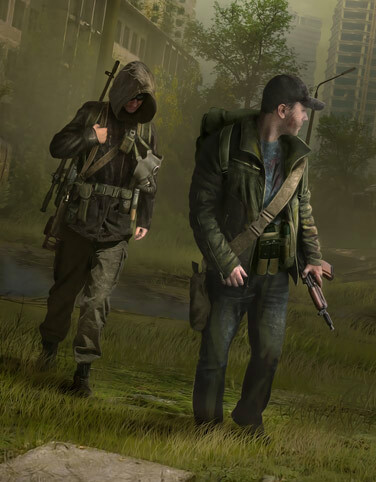 Despite GSC Game World's founder, Sergei Grigorovich, closing the studio down, the team for post-apocalyptic, open-world shooter STALKER 2 decided to carry on with the development. The sequel, however, has now been cancelled. The game has been confirmed to be "frozen" with a statement by the Ukranian studio. A Tweet, meanwhile, said "Despite no official continuation of Stalker 2. it looks like the ideas and spirit will live on in the team's new game - Survarium." With GSC now completely closed, former key members of the studio are now working on the game mentioned in the Tweet under start-up Vostok Games. Survarium is a free-to-play MMO. Its website states it'll be set in the near future after the events of a "mass scale ecological catastrophe". "Impassable woods advance onto cities from every side, maddened animals and birds attack industrial complexes, military structures, warehouses and power plants. Towns are cut off from each other, there are no water supplies, no electricity, gas, communication is lost," read the description. "Countries collapse, anarchy spreads throughout the world. Now force dictates who to survive. In the meantime, new species of greenery and animals purposely destroy human civilization. Strange plants and mushrooms grow through concrete and steel. Scientists all over the world haplessly try to cope with the anomaly sprawling across the Earth with terrifying speed." The newly formed developer's home page explained the studio was opened last month due to the slowed down momentum of Stalker 2's development. "Our company appeared in March 2012 in Kiev. Ten years earlier, when at GSC Game World we started developing the renowned S.T.A.L.K.E.R. game series and continued working on it until December 2011 when the studio was unexpectedly shut down and the S.T.A.L.K.E.R. 2 project frozen," says the website. "We did not reach agreement with the rights owner regarding the use of S.T.A.L.K.E.R. brand, that's why we made the decision to move forward as an independent studio with a new project. That day became our starting point for Vostok Games." Survarium, which is shown below in its first artwork, is based on the Vostok Engine with its release due exclusively on PC during the latter stages of 2013.